The relationship between the witches is what people can relate to the most. Are you good or evil? What does that even mean? Wicked explores the idea that none of us are really good nor evil, but a combination of both, and how we end up that way is more complex than we probably realize. 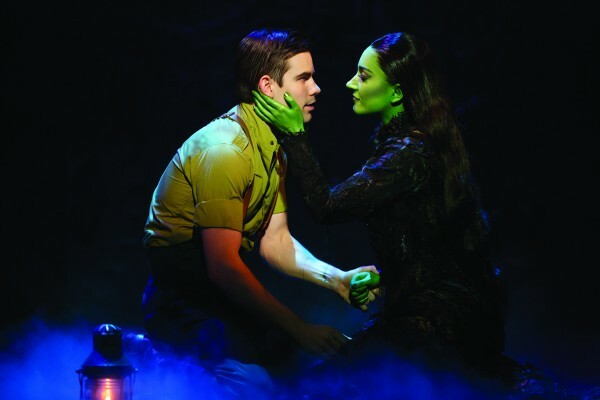 Matt Shingledecker, who plays the witches’ love interest, Fiyero, explained that the idea of the show is to strip away the labels of good and evil to look deeper into individual character and motivations. You may think you know the two witches from The Wizard of Oz: there’s Glinda, the sparkly, pure, good witch, and the Wicked Witch of the West who is sheer evil. But what were these two like before they became famous witches, and how did they go from being best friends to worst enemies? Wicked follows Elphaba (who would later become the Wicked Witch), and Glinda, through their college years and demonstrates how different societal influences come to shape them. The book that inspired the musical is quite different, said Shingledecker, but there is one part that stuck with him and seems to sum up the moral of the story: Boq, a munchkin who knew Elphaba as a child, says to her that you don’t have to be weary of people who call themselves evil, you have to be weary of people who call themselves good. Shingledecker’s character, Fiyero, is — according to him — best represented by the scene “thank goodness,” at the top of act two when he calls Glinda out. “You see where he’s come; how far he’s come,” he said. “Every character has a specific arc change in the show. You see him change overnight. He goes from happy go lucky to deeply caring, more than anyone else.” Fiyero is put in a difficult position, caught in a love triangle with Elphaba and Glinda. After over 100 shows in eight cities, Shingledecker is halfway through this North American tour, and he’s looking forward to stopping in Vancouver, as well as a few other Canadian cities that he has never visited. Apart from the magical story of these misunderstood witches, the impressive dancing, amazing music, and stunning sets keep audiences coming back for more Wicked fun. Wicked will be presented by Broadway Across Canada at the Queen Elizabeth Theatre May 28 – June 29. For more information, visit Vancouver.broadway.com. For tickets, visit ticketmaster.ca.